Actress Michelle Trachtenberg attends the Land of distraction Launch event at Chateau Marmont on November 30, 2017 in Los Angeles, California. 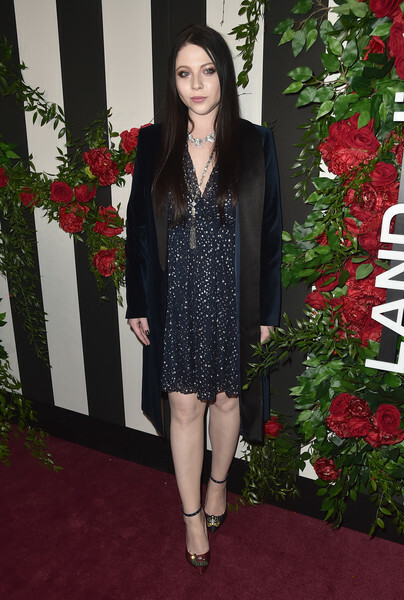 Michelle Trachtenberg layered a beaded navy dress under a velvet coat for total elegance at the Land of Distraction launch. Michelle Trachtenberg went for playful styling with a pair of mismatched pumps.